A Fitting Conclusion: The World Is Our Stage. Then He said, “Everything I told you while I was with you comes to this: All the things written about Me in the Law of Moses, in the Prophets, and in the Psalms have to be fulfilled.” He went on to open their understanding of the Word of God, showing them how to read their Bibles this way. He said, “You can see now how it is written that the Messiah suffers, rises from the dead on the third day, and then a total life-change through the forgiveness of sins is proclaimed in His name to all nations—starting from here, from Jerusalem! You’re the first to hear and see it. You’re the witnesses. Congratulations. We made it! Eight months – 106 blog entries. St. Ignatius’ Spiritual Exercises – An Ignatian Prayer Adventure. Thanks here to the writings of the modern-day theologian, N. T. Wright*, I liken the drama of this moment to when the curtain goes up on the final act of the debut performance of a long-lost Shakespearian play. Let’s imagine, for a moment, the story of some fortunate treasure-hunter who uncovers a script while searching through a pile of old papers stashed away in the attic of some now-deceased London playwright. After careful examination by the experts, these tattered pages turn out to be a hand-written manuscript penned by the master playwright himself, William Shakespeare! But alas, the play is not finished. The first two acts are complete, but only the first few pages of the third and final act are there. *Please note that in Wright’s analogy, he uses a five-act play, but for simplicity reasons, please allow me to shorten this colloquy by two acts! 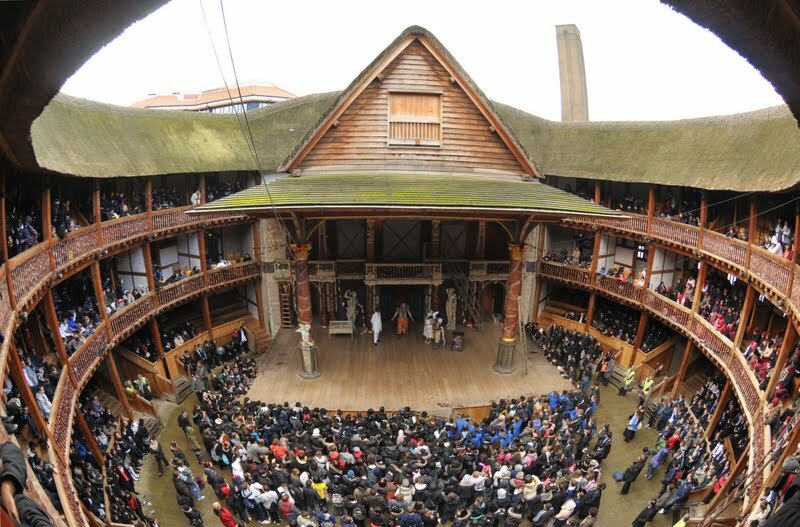 It’s decided by those who want to bring this ancient drama back to life, that rather than using experts in Shakespearean literature to finish writing the play, the director will use a much more creative approach in bringing this classic tale, first to a smaller audience gathered at the renovated Globe Theatre in London, and then finally to the rest of the world. During the dress rehearsal, the director instructs his acting troop, made up of men and women who have given their lives to the performance of Shakespeare, to perform Acts I and II exactly as the master playwright has penned them. Then, in Act III, the actors are told that the curtain will go up and the team will begin by reciting the last few pages written in the original manuscript, but then all will be allowed to flesh out the final scenes of this marvelous play using their own creative acting skills! The director is very clear, of course. The players must follow two important criteria. First and foremost, the troop must always stay in complete character, remaining consistent with everything that’s been performed on the stage thus far. And secondly, each actor’s performance must stay true to the stylistic concepts found in other Shakespearean literature. In other words, the actors can’t go out and end this magnificent performance with an hour-long recital of Emily Dickinson poetry if they want to remain faithful to what Shakespeare intended for his original writings. In Act I, we find the amazing God-story that is recorded for us throughout the Old Testament, setting the stage for the Master Playwright’s entire work. After a short break, the theatre curtain rises again, bringing us to Act II. Here the Christ-event in the Gospels unfolds, spelling out for us the next part of this amazing drama, bringing us to an even greater awareness to the larger story at hand. We, in the audience, gasp at the sight of the crucified carpenter, and then just as the lights are dimmed, we find ourselves rising to our feet to applaud the unexpected return to the stage by the risen Christ! As the thundering applause dies down, the curtain closes and we, the audience, begin to gather our coats. So, the final act of this God-story has begun. For nearly two thousand years now Act III of God’s holy trilogy has been lived out on the world stage. Each generation has been given the unique God-assignment of being witnesses to the resurrected Christ. The role you and I have been recruited into is vital to the larger story God is telling His creation. It’s an important role we’ve been cast in, and as they say in the theatre, there are no small parts in this magnificent play. Only small actors! So as an acting troop, on stage performing Act III of God’s great redemption story, we must all be very careful to not lose track of our assignments. As the Director warns, we can’t go off on tangents or rabbit trails that will, quite honestly, distract all of us in the auditorium from the task at hand. Any confusion on our part as Jesus’ witnesses in God’s bigger story might also bring a fog of confusion to those who have now gathered to watch this final part of the Master’s performance. Quite honestly, there’s nothing worse than having an actor on the stage who doesn’t know his or her lines. Or what about those who prance proudly around the floor trying to capture the spotlight while the rest of the cast is doing their very best to tell Christ’s story? Christ has no body but yours. No hands, no feet on earth but yours. Yours are the eyes with which He looks compassion on this world. Yours are the feet with which He walks to do good. Yours are the hands with which He blesses all the world. Yours are the hands. Yours are the feet. Yours are the eyes. You are His body. Christ has no body on earth but yours. My prayer: Jesus, Your holy commission is fairly simple in nature. As we experience You, the risen Christ, and the power and presence of God’s in-breaking Kingdom, our part on the stage of life is to simply be a witness to that experience. We are not called to add to Your story, but just use our creativeness as we bear witness to all we’ve seen and heard. For Your name’s sake. Amen. My questions to ponder: How am I guilty of adding to or subtracting from the simple commission given by Jesus to His followers? How do I need to re-align my life so that my role on stage is to use my gifts that God has given me to simply bear testimony of what God has done in my life, giving an eye-witness account to Jesus of Nazareth and all He has done, is doing, and will do in my life? So what is God speaking to you today as you move forward now beyond The Ignatian Adventure? Our suggestion…don’t leave the treasures you’ve found in the Spiritual Exercises without sharing them with others! One of the best ways to explore the on-going applications of the Ignatian Exercises is to walk alongside a biblically-based, Christ-centered spiritual director who is familiar with the Exercises and knows how to make the journey part of your overall spiritual formation in God. Many of our directors in our Sustainable Faith-Heartland network are trained in helping others walk through the Exercises and are readily available to companion you in your on-going journey with Jesus. Click here for more info. Thank you for joining us throughout the last eight months as we journeyed together through the Spiritual Exercises of Saint Ignatius! Go in the peace of Christ!